Escape the cold and get a taste of the tropics at one of the Zoo's most popular events. 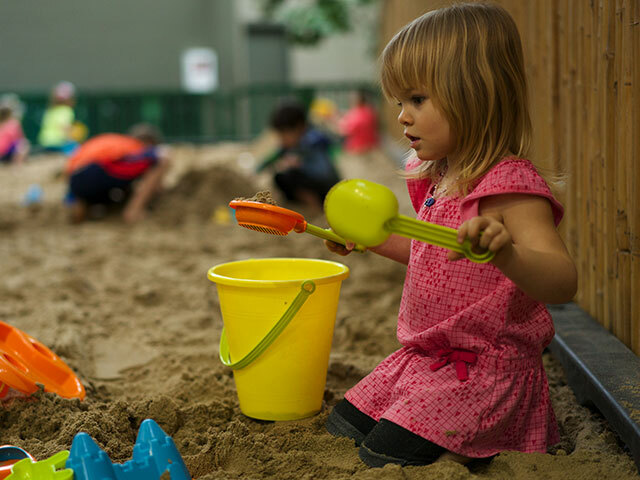 Bring your pail or favorite sand toy and play in Minnesota's two biggest indoor sandboxes. Take in a full day of family fun exploring an indoor rainforest teeming with wildlife, along with special activities each weekend. Members Bring a Friend for Half Price on Weekdays! Not valid Monday, February 18. Tropical Beach Party is home to Minnesota’s largest indoor sandboxes, using a total of 34 tons of sand to fill both sandboxes. Located on our Tropics Trail and in Discovery Bay, both sandboxes will provide family fun for everyone. Bring your pail or favorite sandbox toy for maximum beach fun! Special animal enrichment and training demonstrations are emphasized during Close Encounters, providing guests with one-on-one opportunities to interact with our zookeepers and observe, or even touch, our wildlife. Our trash in Minnesota can end up in oceans and other waterways. There, sea turtles and other wildlife may confuse plastic bags with food. Be part of the solution by choosing a reusable shopping bag. 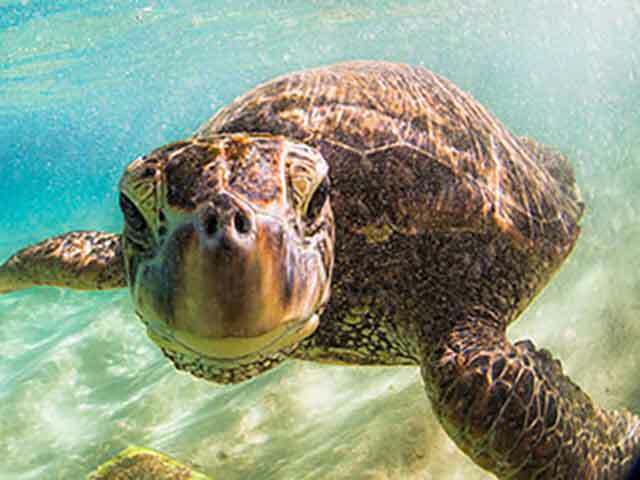 Learn more about sea turtles and saving wildlife at Tropical Beach Party. Your general admission, or Minnesota Zoo Membership if applicable, is all you need to participate. Where are the sandboxes located? There are two sandboxes; one is located in Tropics and the other is in Discovery Bay. What are the hours that we can access the sandboxes? Sandboxes are open daily; 9:00 am – 4:00 pm. -Family activity – Discovery Bay 11:00 a.m. – 2:00 p.m.
-Sea turtle story time – Bee Hive 10:00 a.m. & 1:00 p.m.
-Incredible Creatures – Discovery Bay Stadium 10:30 a.m.
-Tropical Reef Dive Show – Tropics Trail 10:30 a.m.
-Hawaiian Monk Seal Demo – Discovery Bay Stadium at 12:00 & 2:00 p.m.
Can I bring food and beverages into the sandboxes? No food or beverages are allowed in the sandboxes. What can I wear in the sandboxes? Wear what you would to the beach; children must be wearing clothing over the diapers when in sandbox. What toys we can bring? BYOP! : Bring Your Own Pail! You can bring any appropriate beach toy to Tropical Beach Party. Yes. If the spots are not available, drivers may drive up to the Zoo entrance and drop off passengers. Yes, there are ATMs inside the Zoo. I am a Minnesota Zoo member. Do I receive any special offers? Zoo Members are invited to Bring a Friend to Tropical Beach Party for half price discounts on daily admission. Escape the cold and take in a full day of fun by exploring an indoor rainforest teeming with wildlife. Special offer is valid in person Monday-Friday during the event; Not valid on Monday, February 18. Event runs from February 16-March 10, 2019. Can I buy a Minnesota Zoo membership during the event? Yes. You can apply your General Admission, plus parking, purchase towards a Minnesota Zoo membership. You can do this either in-person, at the Guest Services desk, or on the phone at 952.431.9478. 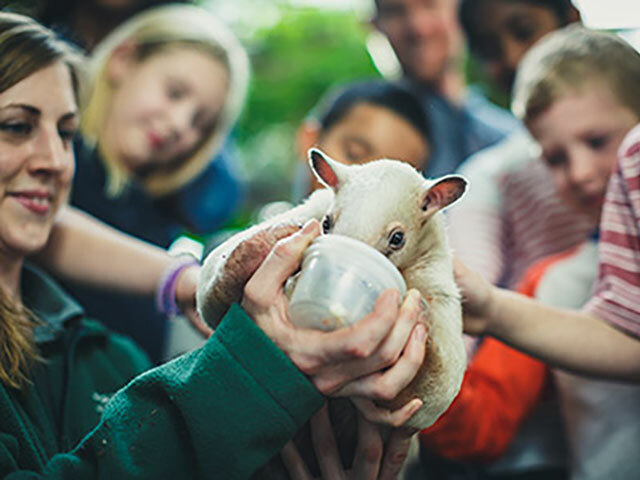 Did you know the Minnesota Zoo is a year-round destination with acres of indoor exhibits and interactive experiences for children and families? Meet hundreds of animals along our Tropics Trail and learn how our conservation efforts are supporting endangered species like the Red Panda. 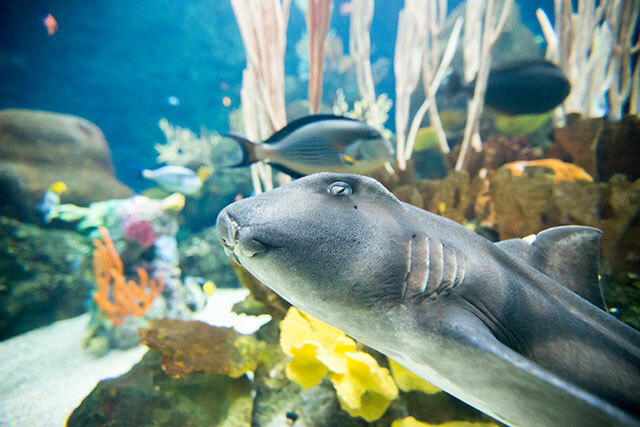 Or get up close and personal with sharks and rays inside the tide pool at Discovery Bay. Come in from the cold and warm up at the Zoo this winter! Explore a grown-up, kid-free version of the Minnesota Zoo after hours and enjoy cocktails and keeper talks during our April event. Food and beverage will be available for purchase.